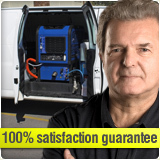 We take special pride at our vast area of service locations, our technicians are highly trained and under strict management this factor allows us to create a city wide Carpet Cleaning service. 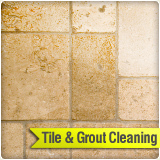 We care about our clients and wish to provide the highest quality of service possible, we don't cut corners treating your carpets or any other service we provide, that's why we have several teams in the San Diego County, each one is equipped with all the appliances needed to perform any task you may have. 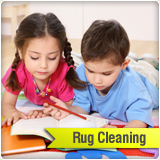 San Diego Carpet Cleaning experts are aware of how valuable your time is, so we produced a special program to that will help you through our great service, and also get you acquainted with our great staff and some of our cleaning methods, so let's begin! Pick the phone and call 619-573-4541, this will allow you to hear about special offers that change on a daily basis, or use our own great coupons, if you are a returning customer, let us know at the beginning of our conversation, we have great offers especially for you! After scheduling a technician coming to your house, you should know we are very flexible at our visiting hours, and we do know our clients are running a tight schedule, so if the time is not comfortable for you, we can reschedule free of charge, or come to an understanding with our technician that your leaving for a few hours, all of our workers are drug tested and we do a rough background check as our service is the most important detail for us. 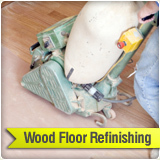 Our technician will review with you his work order, and add any details or special requests you might have, such as cleaning a very stubborn stain, or moving certain furniture you may used to conceal rips or other stains in your carpet, if additional charge is required our worker will let you know before he starts working, if all is agreed upon, our carpet cleaner can start. We start by inspecting the carpet, rug or upholstery for its fabric type, and choose a real hard spot with the client, preferably the hardest stain you have, then will make a small scale demonstration of how much we believe in our products, and clean this part free of charge, if your satisfied and we are sure you are we will continue. 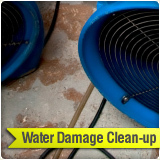 After inspecting all the fabrics and stain types to insure we use the right solution for the problem, we will bring in powerful vacuums, and vacuum your carpets to remove the surface dirt. 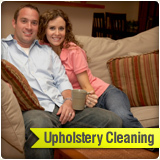 Now it comes to using a few different methods depending on the fabric and stain type, we may use carpet steam cleaning or dry cleaning and even bonnet cleaning, we choose our machinery according to the job needs, our service trucks have all the best equipment on the market, and few exclusive patented products that only San Diego Carpet Cleaning can acquire. 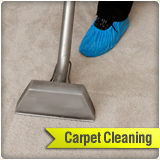 If the carpets need to dry will let them and mean while check your other rooms, carpets, rugs and upholstery for additional damage, once the carpet is dry we will groom it for long lasting results, finally we will ask you wish us to cover your carpet with carpet protector, which is a substance that is vital for keeping away stain, also we can provide deodorizing as to give your carpet that fresh smell so important to your living room. 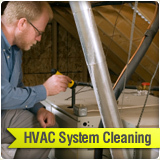 Our technician will go over all the process he's done in your house, check list all the work order, let you sign the order and offer some additional products you may want for your household, and some free complementary cleaning goods. We take pride at our work process if you have any comments or complaints on any of the stages that are listed above, we urge you to please call this number 619-573-4541 ,or get in touch with this contact form. Our service locations may vary from time to time and we are adding locations all the time, keep visiting this area location section frequently to learn about great offers at your service area.